BLUEPRINTS to communication is an elaborate methodical technological process. A free collaborative evaluation is first made of the existing communications system. The consulting engineers then reduce all possible construction variables to the most effective communications system at the best industry price. AN APPLICATION ENGINEER is assigned to the design site. Experience has shown the Top Rank Team that the fear of new technology can be more intimidating than the actual operation of Voice & Data systems will ever be. To confidently inform and reassure our business partners of the ease of operation. The simple concept behind the new communications equipment gives you command over your newest business tool. EVERY STEP of the installation is explained and examined. The on-site experience becomes its own training experience. 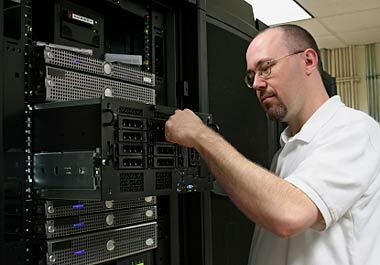 Top Rank does offer training classes to all communications systems business partners. EMPOWERING BUSINESS PARTNERS to be self-sufficient in the training and operation of their new communications system is the final accomplishment of a well planned and comprehensively implemented installation process. PLEASE KNOW that lines of communication remain open. In the event that a procedure is forgotten or an urgent system need is requested, we have system engineers available on-line, by phone, and in fully stocked and maintained vans.